Does Decaffeinated Coffee Cause Bloating? A sour stomach, another term for indigestion, is a common ailment that is characterized by symptoms such as general discomfort, pain, heartburn, bloating and burping. Sour stomachs can be caused by multiple factors. Thus, understanding your stomach discomfort and its underlying cause can help you and your physician determine the appropriate type of treatment. A sour stomach may be caused by eating too fast, overeating or too much caffeine. Spicy, fatty or greasy foods can also cause indigestion because they are hard to digest. It may also be caused by more serious ailments, such as gallstones and peptic ulcers. In addition, you may have functional dyspepsia. This is generally diagnosed after no other cause can be determined. Functional dyspepsia is indigestion that inhibits your stomach from digesting food and moving it to the intestines, says MayoClinic.com. Certain herbs may help in relieving sour stomachs. Teas that have coriander as an ingredient may help, as coriander acts as a digestive aid, according to the Home Remedies website. In addition, teas containing chamomile or licorice root have been known to help, says the Tummy Trouble website. 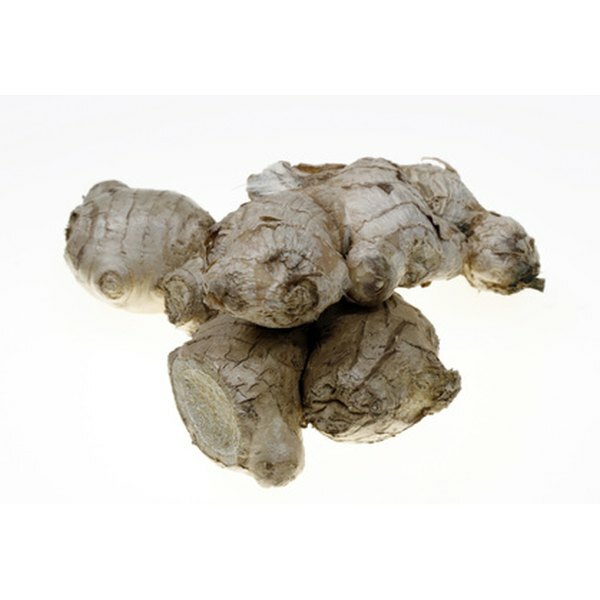 You can also try herbs in pill form, such as ginger root and marshmallow root, as they help the muscles to relax and ease symptoms and tension, according to the Tummy Trouble site. Natural remedies for an upset stomach include altering your diet to avoid foods that could initiate indigestion, such as fatty, greasy or spicy foods, as these are hard to digest. In addition, avoid caffeinated and carbonated beverages. Too much dairy may be problematic as well, as dairy products are also hard to digest. There are many possible causes of sour stomach, ranging from one-time indigestion to potentially serious health-related issues. Thus, it is best to consult your doctor to determine the exact cause of your indigestion and to discuss possible treatments. In addition, some natural remedies may produce no relief and may even cause allergic reactions or side effects, as they are not regulated by the FDA. It is best to discuss any alternative treatments with a physician prior to attempting any remedy. Sour stomachs may also be caused by the medications you are taking. These include -- but are not limited to -- antibiotics, nonsteroidal anti-inflammatory drugs, or NSAIDs, and aspirin. In addition, a sour stomach can also have a more severe culprit: stomach cancer. Consult your physician even if you experience periodic upset stomachs to be sure that you catch and treat any potential problems as soon as possible. Home Remedies: What is the Cure for a Sour Stomach?